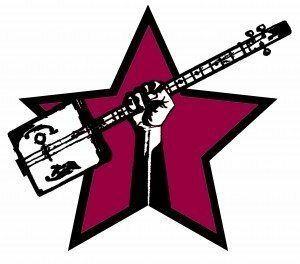 The Cigar Box Guitar Manifesto | The How-To Repository for the Cigar Box Guitar Movement! We are makers of music. We build cigar box guitars and other unique hand-made instruments. We are the members of the cigar box guitar revolution. We build playable musical instruments out of things that were never meant to make music. We build cigar box guitars, cigar box ukuleles, canjos, cookie tin banjos, stick dulcimers and much more. The instruments we build are real. We find joy in building them, and we are proud of what we make. The cigar box guitar holds a primary place in our craft, but it is just one of many instruments we create. Our creations range from the simplest one-string diddleybows to the most complex and convoluted contraptions imaginable. We respect and draw upon centuries of musical instrument traditions, but we are not limited by them. We are not afraid of making it up as we go. We know that sometimes not knowing how things are supposed to be done allows you to things that have never been done before. We come from all walks of life, and from all over the world. Our backgrounds, cultures and countries are wide and varied, but we are united in the joy of building musical instruments and making music. We are a part of the larger Maker community, and we share many of the same goals – but we are a distinct movement unto ourselves. We build our instruments for many different reasons and in many different ways. We believe music comes up from the roots, not down from an ivory tower. We know you don’t need years of training before you can make a fun, playable musical instrument. You don’t need a fully-equipped workshop, or the best tools. We never forget that the first ancestor of the guitar was a vine stretched over a hollow log. We are a blend of builders and musicians, artisans and artists. Some of us only play cigar box guitars and instruments built by others; some of us only build instruments for others to play; some of us both build and play. Whether or not we play them ourselves, we are proud of the instruments we create and the music made with them. We believe that anyone can build their own cigar box guitar or other hand-made instrument. Anyone who wants to can do what we do. We welcome all who come with an open mind, a willingness to learn and experiment. We value each new perspective and creative viewpoint. Together as a community and as a movement, we are bringing the making of music and musical instruments back to the people, and back to their roots. We are part of the cigar box guitar revolution, and we are here to stay. We are the alternative to the shiny, soulless factory-made guitar. We are the answer for the musician looking for a new sound, a new look, a way to get back to the basics, back to the roots of music. We are the new pastime for the creative woman or man looking for a meaningful and rewarding way to put their skills to use. We are diverse, we are creative, we are proud, and we are here to stay.